But sometimes, you can’t see it until it’s arranged in such a way that the undeniable truth is taken to absurdist heights. 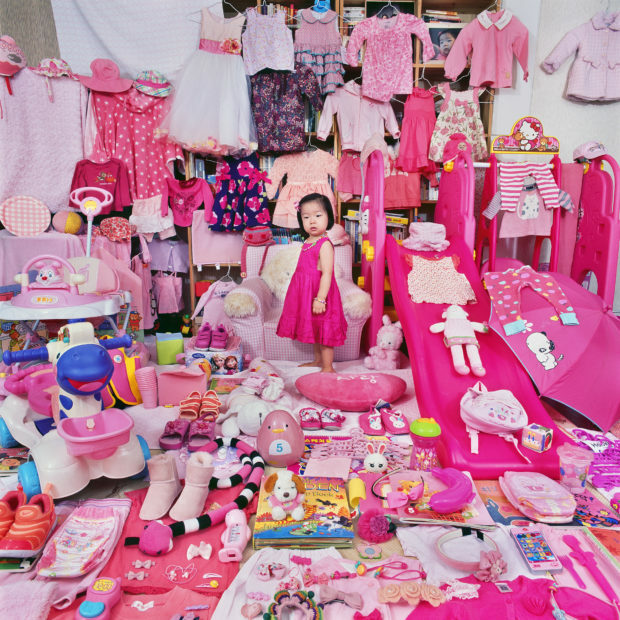 In JeongMee Yoon: The Pink and Blue Project (Hetje Cantz), Seoul-based photographer JeongMee Yoon sets out to explore the striking intersection between color, gender, and late capitalism. 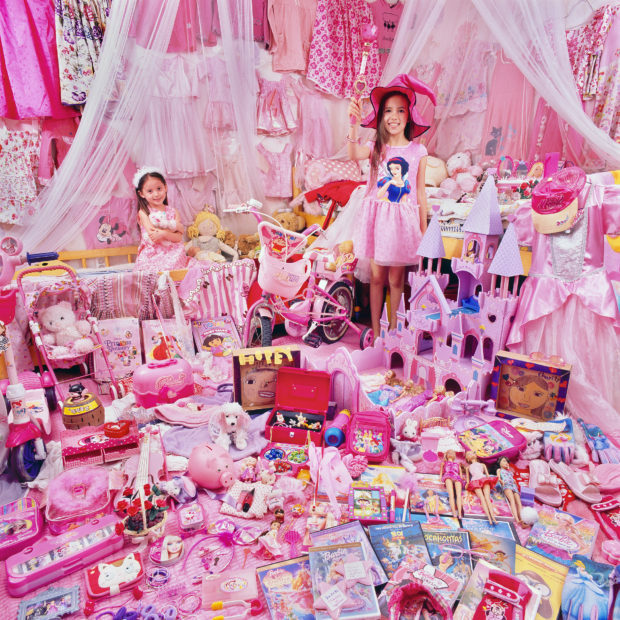 The artist felt inspired to begin this project in 2005 when she noticed her daughter’s love affair with pink was approaching obsessive heights. 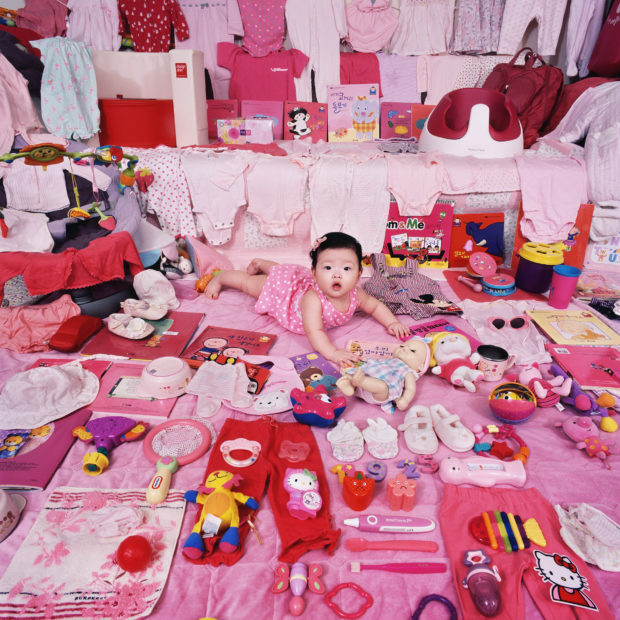 “She wanted to wear only pink clothes and play with pink toys and objects,” Yoon writes in her artist’s statement. 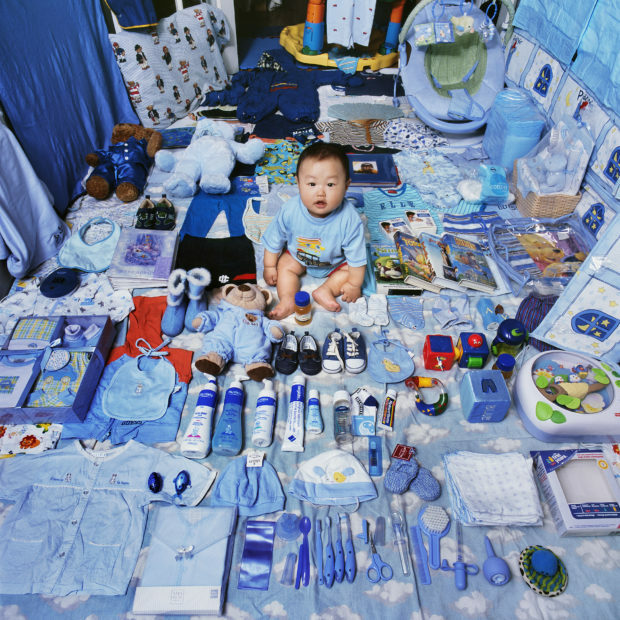 Yoon’s photographs are perfectly organized displays of color-coded consumerism on abject display. 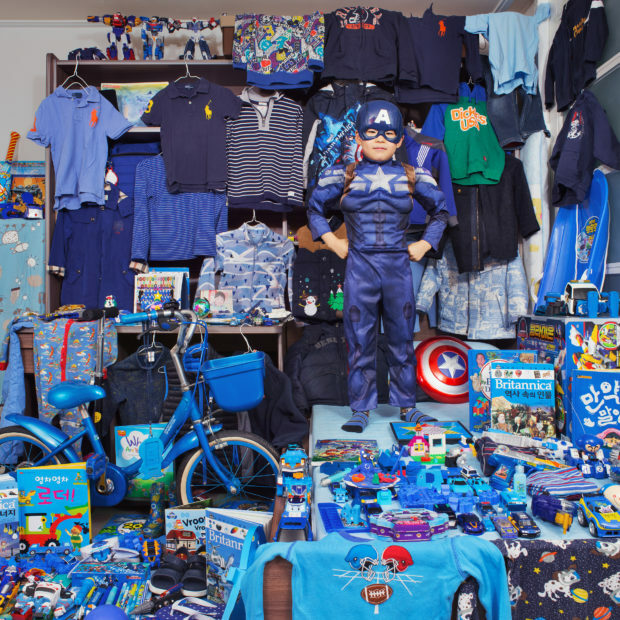 Swaths of plastic, synthetic fabrics, plush objects, sparkly appliqués, and other mass-produced goods are carefully placed on display in robust abundance. 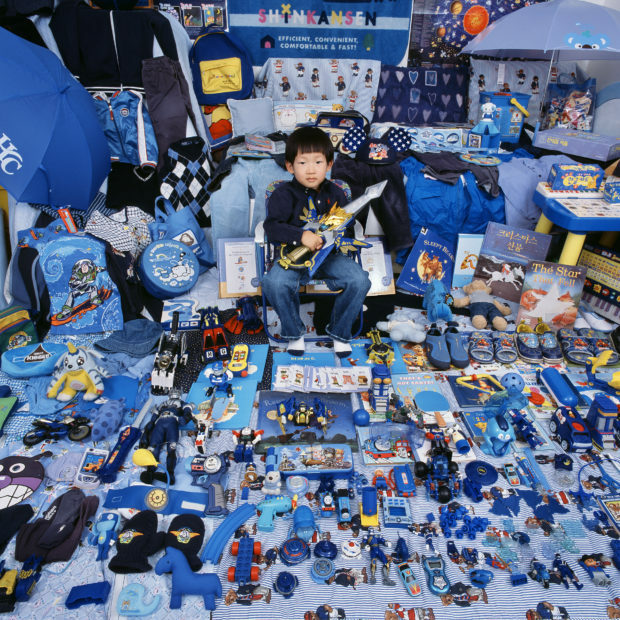 The children look pleased and proud, though it is the babies who simply look that are the most profound. They are placed inside a wavelength, given a base frequency, and thus a basic imbalance reveals itself. It’s a preference in as much as options are erased, much in the same way the gender binary fails to speak of trans, non-binary, and gender non-conforming individuals. 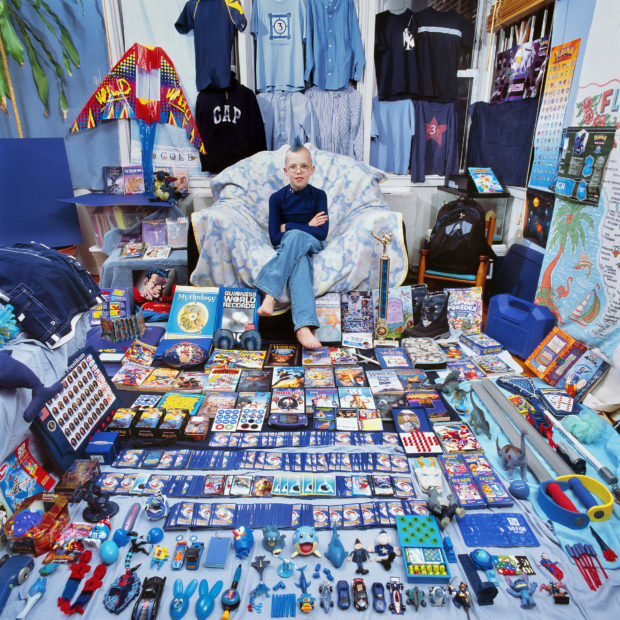 “I shop therefore I am,” Barbara Kluger famously opined, and though these children are not yet cashing checks, they are groomed to become the perfect customer — one who sees things as an extension of self, right down to that which is intangible, a wavelength of light. 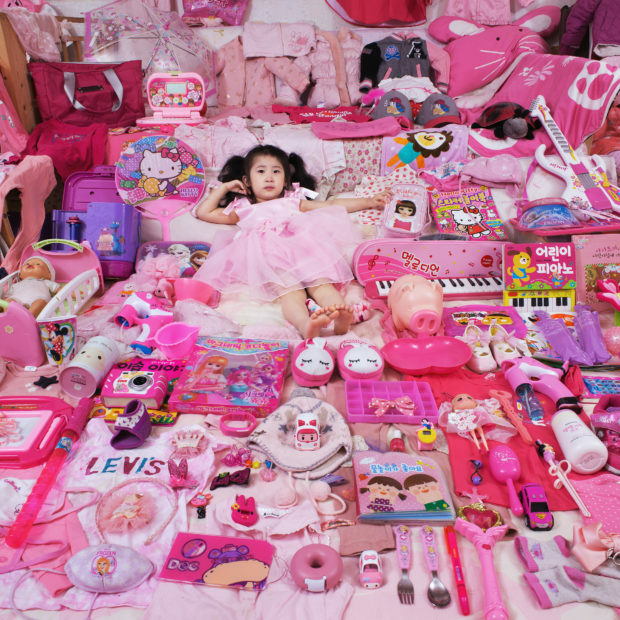 The post Thought-Provoking Photos of Children In Their Color-Coded Rooms appeared first on Feature Shoot.